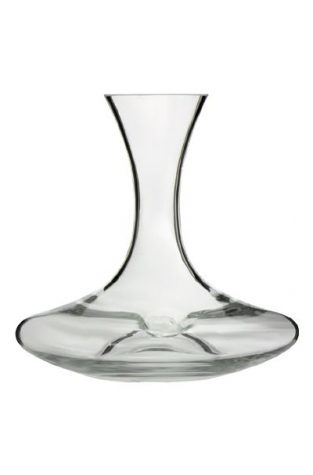 Stylish glass wine decanter to grace any dinner table. 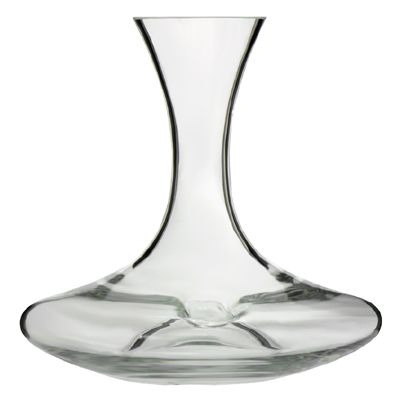 Use the Swirl glass wine decanter to decant and aerate your table wine. This 1.5 litre decanting vessel features a very wide base which not only provides greater stability, thus helping to prevent accidents at table, as well as offering a larger surface area for the wine to "breathe" and open up to reveal both its perfume and flavour profile. The handy thumb indent not only makes it easier to hold and pour from but also affords improved oxygenation by virtue of the turbulence created when swirling the wine around. Swirl is not only a stylish addition to your table but will really help you to obtain greater enjoyment especially from younger wines. Even white wines will benefit tremendously from being decanted in this way allowing you and your fellow drinkers to fully appreciate them.